New York: Amy Einhorn Books / Putnam. 2009. First Edition; First Printing. Hardcover. 0399155341 . Good+ in a Very Good dust jacket. Damp staining to several pages. Slight roll to spine. Owner name and brief writing to FEP. ; 1.7 x 8.9 x 6 Inches; 464 pages; Original unclipped dust jacket protected by archival Brodart cover. All domestic orders shipped protected in a Box. . 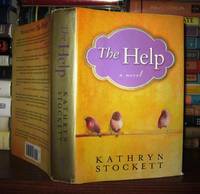 The Help is a 2009 novel by American author Kathryn Stockett. It is about African American maids working in white households in Jackson, Mississippi during the early 1960s. The novel is told from the perspective of three characters. 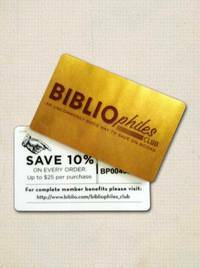 "Very rarely do I read a book straight through. Usually, I have two to six going at once. Not this time. I read the entire book in two days.Although I was born roughly in the middle of this narrative, the world described had mercifully disappeared by the time I became aware of the world around me. From the very beginning, I was astounded by the stupidity and pointlessness of many of the "taboos" believed in by the employers. These taboos not only covered the "help", but also constrained the women themselves in virtually all aspects of their lives. A person's qualifications and achievements seemed to be secondary to where they came from or what social group they were part of. I came away with a sense of both how far we have come and how some prejudices are still hiding even inside those of us who feel enlightened." " Wow, what a book. I am from the south, and I was 10 years old in 1963. I remember the Sears where my mother worked having a Colored and White Bathroom and a Colored and White water fountain. I remember the outside door at the theater that said colored and led to the balcony and our delight when they finally opened it up to everyone and us teenagers could sneak up there.I was not one of the kids that had a full time maid or nanny that raised them, but I had friends that did. What thi ...more Wow, what a book. I am from the south, and I was 10 years old in 1963. I remember the Sears where my mother worked having a Colored and White Bathroom and a Colored and White water fountain. I remember the outside door at the theater that said colored and led to the balcony and our delight when they finally opened it up to everyone and us teenagers could sneak up there.I was not one of the kids that had a full time maid or nanny that raised them, but I had friends that did. What this book did for me is fill in the gaps that I never knew. I saw what was going on, I heard it, but I never really understood it, and my parents were more like Skeeter, people were just people. Yes, we had a housekeeper that came once a week because my mother had to work full time. She cleaned our house, ate at our table, cooked our dinner that night, and we visited her family at the holidays and took them a turkey at thanksgiving and wrapped presents at Christmas.But I wonder now what else we did that I was not aware of. How did we treat her and others that was considered "normal" then? Were we guilty of the prejudice and segregation-ism that is portrayed in this book? I have to say probably because we were a product of our time. I can only say that I am no longer that product. Everyone should read this book. Everyone. It is so true, correct and real it could have been my town or any town in the south in 1963. " "In 2010 I decided to start reading a lot more- I set my yearly goal at 30 books and I have already hit 30!! !-this is an acomplishment for me working full time--"The Help" has been my favorite book so far this year--and has me thinking of the civil rights era so I have been trying to read other books based on that subject."